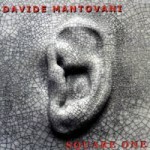 “SQUARE ONE” the first album by Italian-born Davide Mantovani shows his instinctive flair for writing – previously a well kept secret. As a bass player Davide Mantovani has proved himself in the short time he’s been in the UK playing with Monica Vasconcelos, Ingrid Laubrock, Ian Carr’s Nucleus, Carol Grimes, Great Spirit, Roberto Pla and Antonio Forcione amongst many others. His writing for some of these artists immediately caught the eye and it was only a matter of time before he wrote and produced his own album. Davide Mantovani has drawn on his knowledge and feel for world music and created an album with textures from South America, the Caribbean and Eastern Europe infused with jazz. This truly is a fusion album but one where the compositions take centre stage. Davide is known on the scene as a bass player whose flawless technique never gets in the way of his natural feel & groove. This album is a reflection of that and you’d never know the leader was a bass player. “SQUARE ONE” features some outstanding soloists from the London jazz & world music scene including Steve Lodder on piano & synths, Roger Beaujolais on vibraphone & midi vibes, Kim Burton on accordion, Wade Austin on steel pan, the Afro Shock team of Davide Giovannini & Maurizio Ravalico on drums & percussion and Gerry Hunt on saxes, flute & guitar. Produced & arranged by Davide Mantovani, “SQUARE ONE” was released May 2000 on StayTuned Records.